Comprising ratio of over 300 decided cases in a capsule form, condensed in 120 royal size pages, can enable anyone to file and contest the appeals against the orders of the EPF authorities. 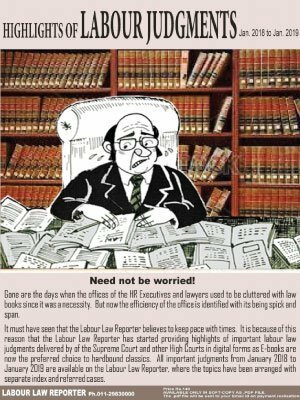 There are large number of disputes keeping in view the coverage of over 9.30 lakhs establishments with 1714.13 lakhs members being mismanaged by the regulatory authorities, has provided ample opportunities for advocates. 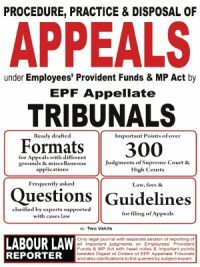 The Appeals before 22 Appellate Tribunals functioning in every State will be fastly disposed of in 3 to 5 hearings hence it is much easy than contesting labour disputes.